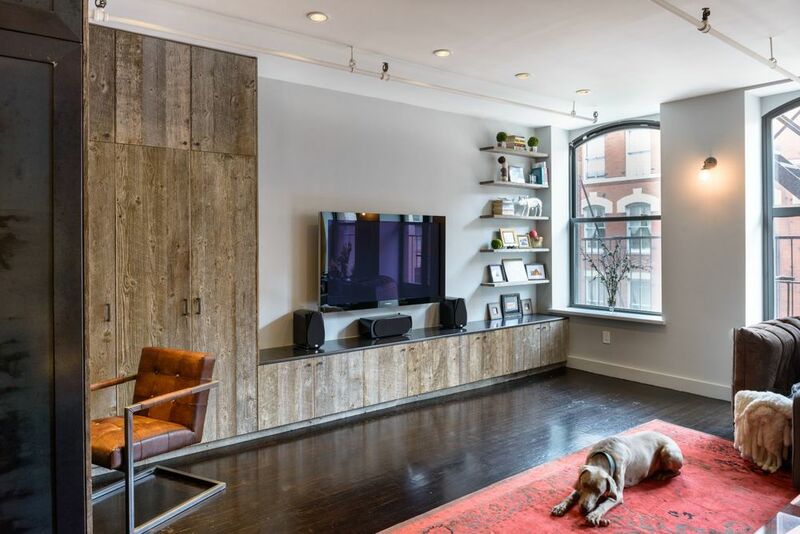 A custom millwork piece in the living room was designed to house an entertainment center, work space, and mud room storage for this 1700 square foot loft in Tribeca. Reclaimed grey wood clads the storage and compliments the grey leather desk. Blackened steel elements work with the grey material palette at the desk wall and entertainment area. An island, customized for the family dog, completes the large, open kitchen. The floors were ebonized to emphasize the raw materials in the space.